Arthritis is not a condition that affects only the elderly. Arthritis can affect even the youngest of us, all the way to children still in diapers. There are thousands of people who are stricken with arthritis in the prime of their lives. Arthritis actually consists of more than 100 different conditions from tendonitis or bursitis to crippling conditions like rheumatoid arthritis. The human body has more 100 joints that connect the 206 bones. Between the bones is a joint cavity, which gives the bones room to move. The joint space between two bones is enclosed by a capsule that’s flexible, yet strong enough to protect the joint against dislocation. The inner lining of this capsule, the synovium, produces a thick fluid that lubricates and nourishes the joint. In many forms of arthritis, the synovium becomes inflamed and thickened, producing extra fluid which contains inflammatory cells. The inflamed synovium and fluid can damage the cartilage and underlying bone. Chiropractic has a long track record of relieving arthritis pain. As arthritis progresses, pain and loss of mobility tend to follow. Chiropractic helps to battle arthritis by improving mobility and decreasing pain. Arthritis treatment helps to increase the range of motion in the affected joint and allows for more natural movement. The more the joint is allowed to move, the more healing of the joint is promoted. 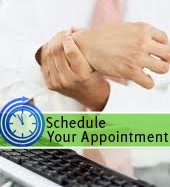 If you or your loved ones are suffering from arthritis or any other type of joint pain, Caron Chiropractic can help. Our treatments can provide immediate relief without the use of drugs or surgery. Please contact our office today for an appointment.